There will be nine girls who qualified for State last year returning in the Class 3 Girls 3200m including five state medalists, one of whom is the defending State Champion. Mercedes Schroer is the Defending State Champion after winning the title as a freshman with an 11:26 last season. That time is the fastest returning time by over 10 seconds. She never lost a race at 3200m last year, and won 19 of 20 races overall from 400-3200m last year with her only lost being a 2nd place finish in the 800m last year at State. Her biggest challengers will be a Fatima duo of Alexis Fischer and Kendall Haller. Fischer placed third at State last year and holds the second fastest returning time in Class 3 with an 11:37, and Haller placed 4th last year with the third fastest time with an 11:49. Their teammate Alyssa Struemph also is a returning State Medalist with an 11:55, as well as Herculaneum's Nautica Stricklin with a 12:03. 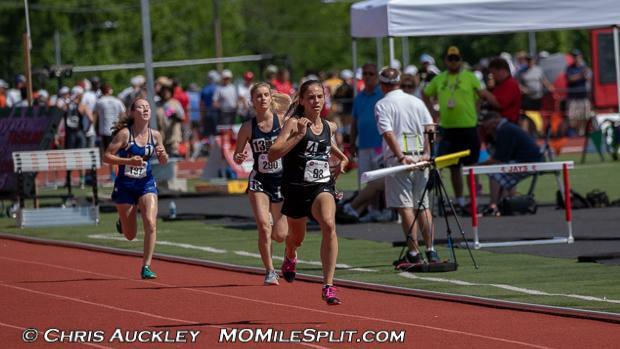 Below you can find my subjective rankings and honorable mentions for the Class 3 Girls 3200m.